Mental midget captains rahane and Dinesh Karthik. Take decisions that are bound to fail. Chopra. Why is that bozo wearing sunglasses at night? Colossal waste of an innings from Dhoni. Billings was even worse. They have so many batsmen. CSK will win this easy peasy. Rahane will make Dhoni happy to get his sifarish for odi call up. Since Bravo was spotted laughing at Rayudu-Dhoni runout, he has been handled like this. Bravo won't care, he is a T20 great and many franchisees will bid for him next year if CSK don't retain. No wonder Jaddu is now groomed as Bravo's replacement. Bankrupt mans Bravo. That's why fanboys need to keep their boners in check. Before claiming old Dhoni is back let him play a few innings with high SR and without playing too many dots in the beginning of his innings in T20I's. Couldn't agree with you more He showed no intent of attack. Rahane knows he can't accelerate at the top lol He safely stays behind. Predict how many wickets in PP? Buttler making mockery of the bowling. 3 balls 3 fours to start with. DHoni "Pitch was slower upto 20th over. It became easier after the break"
Harby being treated like part timer. What batting. With their rubbish bowling attack CSK needs 220 every time. 36 in 16. He's having fun tonking everyone. Even Willey joins them by giving 13 in 1. One bounce catch appeal and on field umpires gave out. What pathetic umpires. Tamil commies jizzing in their pants after that catch. There is no Mahendra singh buttler there . CSK's only hope Rahane coming to the crease. 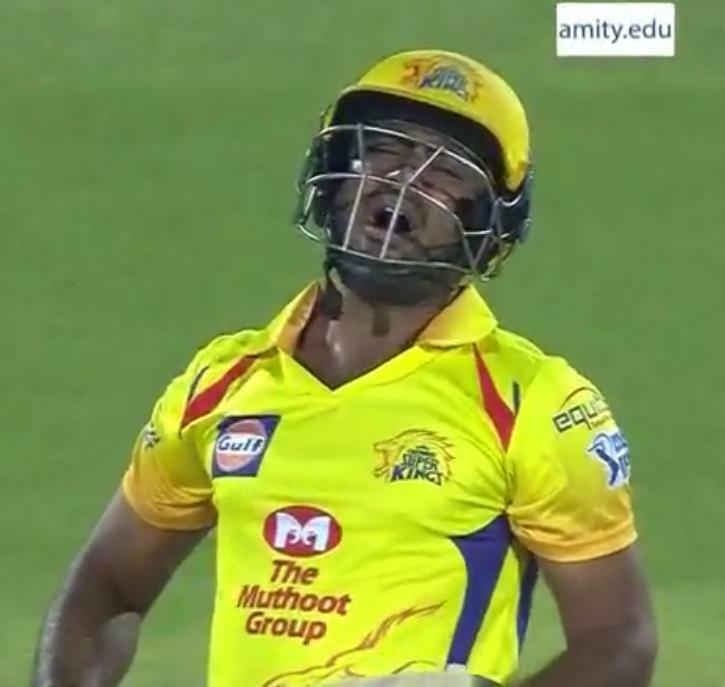 If he stays back like last match it is bye bye for CSK. Sixer. Thrashed it. Thats the way to bat in T20 boys !!. Awesome . Lame dismissal. Got a lucky 4 and conclusive 6. He did his job. Good comeback by Harby. Crashed the stumps. Clean bowled. 4 for Rahane, well placed. No chance for any of the fielder. sottu ball. Bad news for CSK. Rahane out. Bhajji wanted to get in Stokes’ face but then he remembered his past history. Dei why get Rahane out and celebrate on top of it?